Agency is coordinated by a group of US-based anarchists. Our goal is to influence how anarchists and anarchist ideas are discussed in US mainstream media, and ultimately to promote a greater understanding of anarchist ideas by the public. Project or story specific press contact lists (national, regional or local) for your media outreach. Media release and advisory templates and editorial support. Developing talking points for events, actions, and campaigns. Developing a comprehensive media strategy, including honing your ability to talk with reporters and journalists effectively. How to craft press releases and advisories. How to pitch media on a story. Working with the mainstream media and producing powerful stories. Working with mainstream media can be at times be challenging but it can also be effective and worthwhile. We are here to support anarchists who want to use the media to get their message across. If you would like to discuss your needs and interests with us, please get in touch. Talking to the Media. Avoiding the Pitfalls: A Guide for Anarchists. Resources for video production basics, video advocacy, documenting protests and more. We track mentions of anarchists and anarchism in the mainstream media, and encourage anarchists to respond to these mentions by commenting online and sending letters to the editor. You can follow this coverage in our Anarchists in the News section, here, or suggest stories for this section by contacting us here. We reprint and circulate commentary by anarchists on current events. We also solicit new commentary. You can read our commentary here, and contact us about reprinting something or writing a new piece here. We create press briefs and press releases for members of the media and the public on a variety of issue topics. You can read these here. 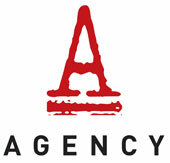 Agency is a closed collective, but we welcome potential new participants. If you are excited about this project and would like to talk with us about getting involved, please contact us.